International experts and local decision-makers discuss development opportunities for the Greenlandic capital of Nuuk at a seminar of experts in Katuaq. 60,000 inhabitants in Nuuk. Breaking the current monopoly on public transport. Nuuk as a centre for Arctic research. 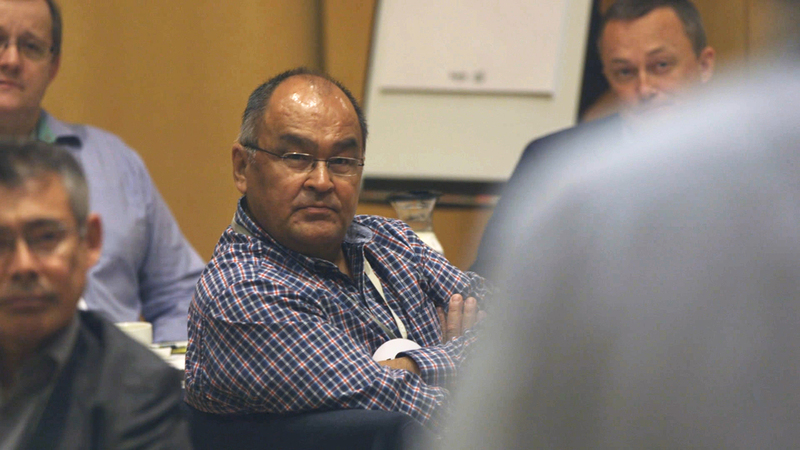 These were some of the big ideas put forward by 25 experts in Arctic business and development who recently gathered in Katuaq to share their views regarding Nuuk's development. The seminar, was organised by Ramboll, and was the third in a series of ‘Arctic Roundtables’ that take place every year in a city in the Arctic. The participants agreed that it is important for Nuuk to have an overall strategy for developing the capital to ensure that companies wishing to establish themselves or invest in the Arctic can feel secure in what direction the city is developing. Among the specific proposals made at the seminar, there was a consensus around the establishment of a fund to support the attraction of outside investors to Nuuk. It was also agreed that the local authorities for Nuuk, Sermersooq Municipality, should make a concerted effort to welcome both new companies and citizens; for example, by providing staff to help new businesses navigate through public system. The relationship between Nuuk and the rest of the country was also discussed as an obstacle to development in the capital. Here several foreign participants pointed out that capital is important for economic development and international attractiveness. For example, Reykjavik and Copenhagen had an enormous impact on the economic development of Iceland and Denmark respectively. "It is necessary that the rest of the country agrees to support Nuuk’s role as a capital city and allow us to grow," said Deputy Mayor Martha Abelsen. A general national pride around the capital was one of the factors that many participants mentioned as important for positive development. The Arctic Winter Games and the branding campaign ‘Colourful Nuuk’ were mentioned as contributors for creating this pride. In addition to the Deputy Mayor Martha Abelsen, Local Councilor Malene Lynge and Mayor Asii Chemnitz Narup took part in the seminar as well as a variety of local decision makers. The foreign participants were all individuals who, through their work are familiar with the opportunities and challenges in the Arctic. This included the Mayor of Longyearbyen on Svalbard, as well as several researchers and industrialists who work in the Arctic. In concluding the seminar, Mayor Asii Chemnitz Narup, said, “I'm glad to see that experts from around the world also see great potential in our city. It has provided so much useful knowledge." The key points raised at the seminar have been summarized in a statement that will inform work being carried out on Nuuk’s development strategy, which was initiated by the municipal council last year.